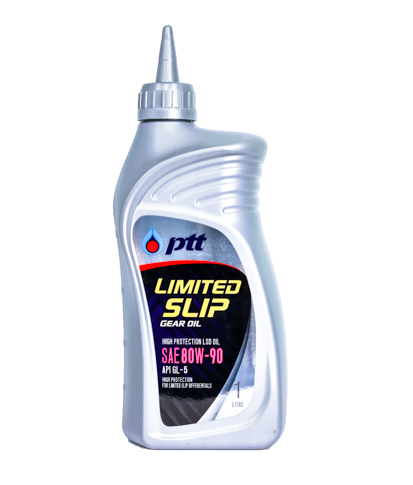 [PTT LIMITED SLIP GEAR OIL] น้ำมันเกียร์คุณภาพสูง เหมาะสำหรับเฟืองท้ายงานหนักของรถประเภทขับเคลื่อน 4 ล้อ ชนิด limited slip differential (LSD) High performance automotive gear oil. Designed for limited slip differential (LSD) of 4-WD (four-wheel drive) vehicles. • High performance automotive gear oil. Designed for limited slip differential (LSD) of 4-WD (four-wheel drive) vehicles.